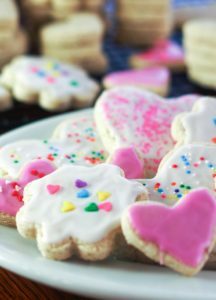 This is the best sugar cookie recipe made with either butter or margarine. They’re soft, hearty and freeze well so you can make them ahead! They’re one of the best cookies you can make! 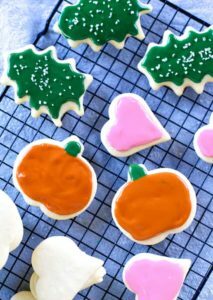 I’m going to show you the tips to make the best sugar cookie recipe with my favorite sugar cookie recipe. Baking comes naturally to me only because of the talent of my mom. Thanks, Mom! She taught me that baking comes down to two things – measuring and timing. It’s no surprise that she’s a math teacher. 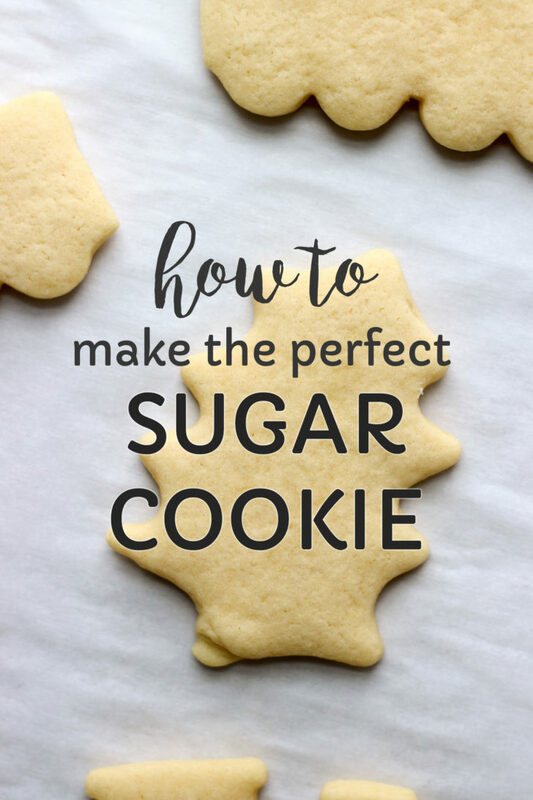 😉 In all seriousness the tips she’s shared with me are crucial to the perfect sugar cookie and so I want to share them with you! 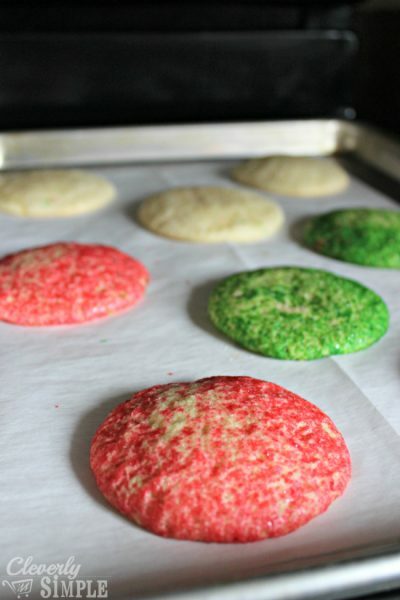 Here are my tips to make the best easy sugar cookies recipe this Christmas. You can find the Best (and easiest) Sugar Cooking Icing Recipe here. Tip 1 : Use good quality baking pans. I use air-bake cookie sheets or a light jelly roll pan. If I baked my cookies on my dark baking sheets that I use for pizza-making, I get a completely different cookie. Since the goal in my sugar cookies is a soft cookie, using an air-bake cookie sheet is a must. If you use a dark pan your cookies will over cook on the bottom. That’s just a reality. Tip 2 : Pre-Measure all ingredients. Before I start combining one thing I pre-measure all my ingredients. All my flour, baking powder and salt go into one bowl. I then pre-measure the sugar, the vanilla and even the butter is ready. I even crack all the eggs. In this way, the recipe comes together quickly and fluidly. It’s also less likely that you’ll make a mistake measuring ingredients if you’re focused on that one task only – instead of checking what’s already in the mixer. Measuring ingredients accurately is very important when baking. Here’s my favorite measuring spoons. And here’s my favorite measuring cups. Tip 3 : Chill the dough overnight. Most recipes will say that you can chill the dough for as little as one hour. In my experience, there is not a shortcut to this one. You’re invested in making a great sugar cookie (otherwise you wouldn’t be here), so take that extra step and chill the dough overnight. To be honest, I actually prefer to do it this way simply because it’s easier to clean up the kitchen without worrying about baking the cookies at the same time. Tip 4 : Don’t be afraid of flour. And it’s how you roll. Flour the countertop generously. Place your dough on the countertop and lightly flour the top of the dough. Flour the rolling pin as well. Roll the dough from the center and work your way to the outside. Put more pressure in the middle and let the roller do the work as you get to the edge. It is key that your dough be a uniform thickness of 1/4 – 1/2 inch to avoid crispy edges when you bake. 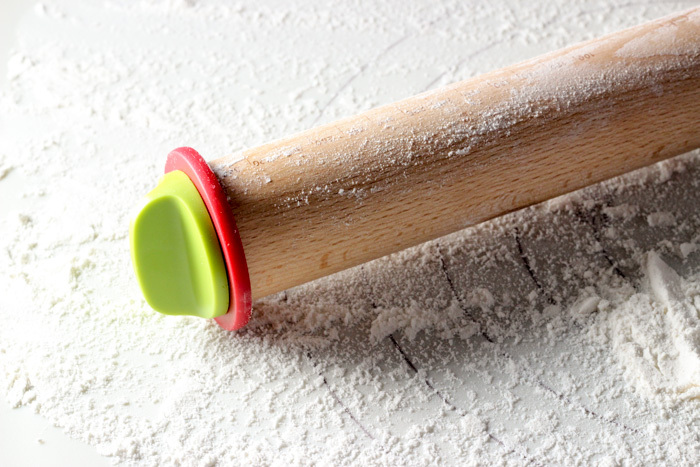 The flour assists you to avoid the dough from sticking to the countertop, the roller or the cookie cutters. 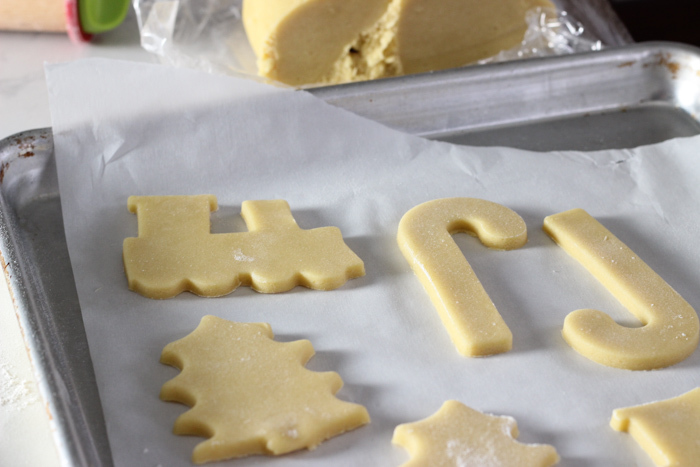 By the way, Flour your cookie cutters as well so that the dough will loosen from the cutter when you place it on the cookie sheet. 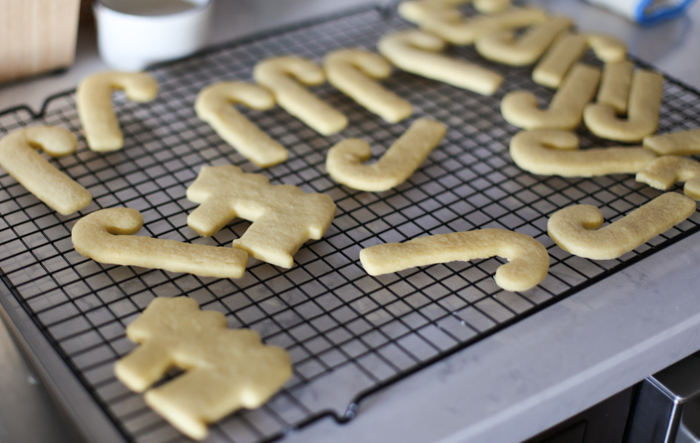 Here’s a great list of cookie cutters! Tip 5 : Put the dough back in the refrigerator. Because I typically bake a number of cookies at once, it’s a good idea to place the dough you’re not currently rolling back into the refrigerator. With a hot oven nearby, the dough starts to warm and it will be much harder to roll your next batch. Tip 6 : Don’t Overbake the Cookies. Please! If your cookies are turning a light tan – they’re overbaked. That is unless, you prefer it that way. The recipe I tried most recently said to bake the cookies for 6 to 8 minutes. I set the timer for 6 minutes and then checked the cookie every 30 seconds until it was done. Eight minutes and 30 seconds ended up being the optimal time. Every oven is different so every time I bake cookies I start at the lowest time possible. If you’re nervous about how your cookie will bake, bake a test cookie. Place only one cookie on the cookie sheet and bake it. Let it cool and taste it. Is it the texture that you like? Again, you’ve already invested your time, this one small step may make the biggest impact on your end product. Again, using air-bake cookie sheets helps this step! 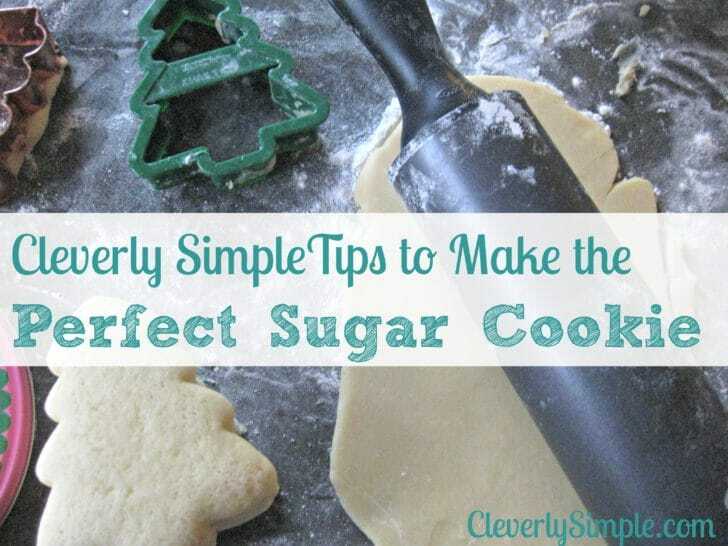 Those are my Cleverly Simple tips to make the best sugar cookie! 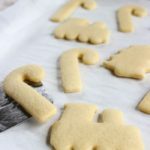 Are you ready to try this easy sugar cookies recipe? The easy sugar cookies recipe is from my mom’s Recipe Book. It is the recipe my family makes every single year. It’s a lighter cookie (by taste, not by calories). 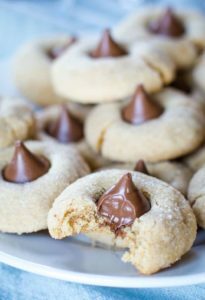 I may be bias because I grew up making these cookies, but it’s a delicious cookie that will make a nice addition to any Christmas cookie plate. It’s soft and it’s yummy. Do you want the perfect sugar cookie? 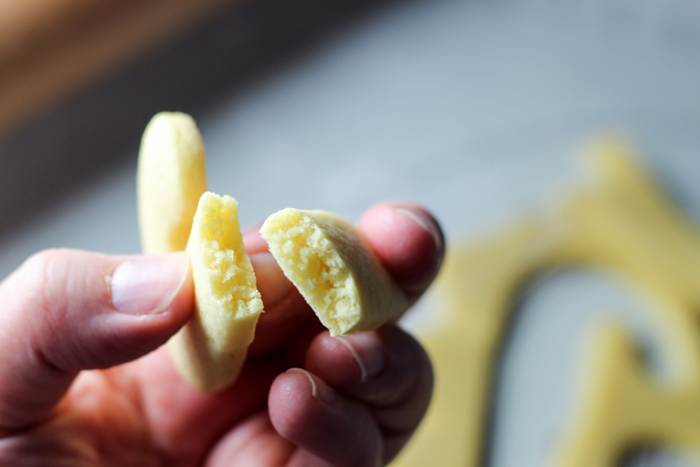 Here’s how to make the best sugar cookie with tips included! Mix flour, baking powder and salt together. Set aside. Beat in eggs. Fold in Vanilla. Using cookie cutters, create shapes. Bake at 350 degrees in pre-heated oven for 8-10 minutes. You can use margarine for this recipe if you don’t have butter on hand. I prefer butter. 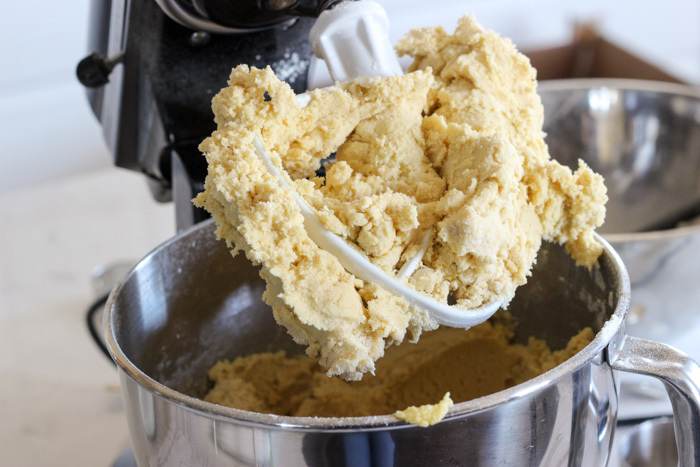 Butter makes the dough a little more stiff after removing it from the refrigerator, but the dough will start to soften up when you start to work with it. Hi Laura. I chill mine overnight to make sure it’s fully chilled. If it’s not, it’s harder to roll out. If you’re short on time, I would chill it for at least 4 hours.